Alexis Tsipras is reportedly preparing to travel to Turkey for talks with President Recep Tayyip Erdogan, who has been bolstered by the surprise elections results on Sunday that gave his Justice and Development Party (AKP) an outright majority in Parliament after gaining almost 50 percent of the vote. Although the mounting refugee crisis has made a meeting between Tsipras and Erdogan inevitable, the Greek premier held off from approaching the now-omnipotent Turkish leader during recent months, perhaps because of concern that he would be seen as providing political cover for the Turkish president at a bloody and tumultuous time for the neighbouring country. German Chancellor Angela Merkel did not feel such compunction or, at least, felt the need for initiating an agreement with Erdogan over the refugee crisis was too pressing, and visited Istanbul last month. Merkel’s visit was seen as adding to the momentum built up by the formulation of the EU-Turkey Action Plan to provide Ankara with incentives to stem the flow of refugees to Greece and then central and northern Europe. At the same time that EU leaders and officials were hammering out the details of this plan, which includes 3 billion euros in extra funding for Turkey and a visa liberalisation scheme, Brussels was reportedly delaying the publication of the annual progress report on Turkey’s EU accession process. The report highlighted that Turkey has been backsliding, particularly in the areas rule of law, freedom of expression and freedom of assembly. However, the influx of almost 600,000 refugees and migrants to the Greek islands alone this year means that Athens, like the rest of the EU, needs Turkish cooperation at the moment – even if that involves turning a blind eye to Erdogan’s curtailing of rights and freedoms in his country. The problem for Tsipras, and those that went before him, is that Erdogan is fully aware that he is in the box-seat. 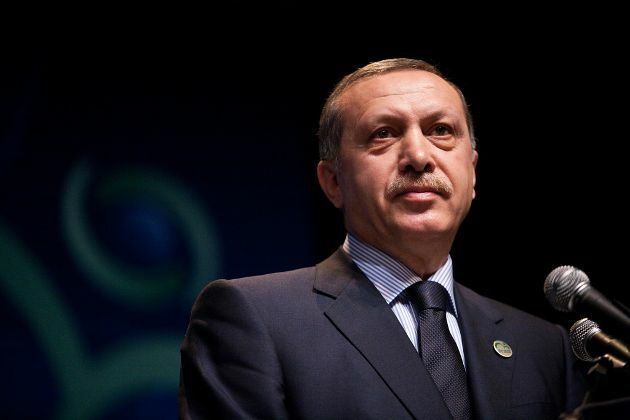 The Turkish president is also a much better negotiator than his European counterparts, which was emphasised by the fact that even though he was able to obtain significant concessions during recent talks on the refugee crisis, the EU seemed to ignore that the most valuable thing they gave Erdogan – political legitimacy - was not even written on paper. With his country divided and in turmoil, the AKP leader was able to show his electorate that he was still an important man internationally, a statesman, if you will. The natural progression from this is for people (both inside and outside Turkey) to wonder who could lead the fractured country effectively apart from Erdogan. The uncomfortable realisation for those on the outside looking in is that that there seems to be a lack of viable alternatives. This means that Sunday’s result may be the most manageable for Greece and its European partners. At least it means they know who they are dealing with and there is some guarantee that the new government will be around for a few years to come. The prospect of an unstable coalition, particularly one Erdogan might work to undermine from within, would have created more problems for those trying to get Ankara to conform. For Greece, the inclusion of the far-right MHP in such a coalition would have put Greek-Turkish relations on a particularly precarious footing and put in serious doubt the rekindled reunification process on Cyprus. In a recent interview with Kathimerini's Cyprus edition, Greek Foreign Minister Nikos Kotzias hinted that Athens was most comfortable working with an AKP government when it comes to the issue of delineating an Exclusive Economic Zone (EEZ). "With Turkey the issue is more complicated," he said. "We are expecting a new government to be elected and we will see whether it will have the same will to find a solution, or at least to discuss the problems, as the previous one had. I hope that this will be the case." Instead, the main questions Tsipras and other European leaders will face are what kind of Erdogan they will have to deal with and what kind of Turkey he wants to lead. This means that Erdogan will probably prove as tough a customer as always. European leaders will likely have trouble pinning him down and extracting what they want from him. Tsipras would like Turkey to take a greater role in hosting refugees and allowing the EU to reallocate them from its soil rather than having traffickers heaving them across the Aegean to Lesvos and other islands in their thousands each day, leaving Greece to take on responsibility for the humanitarian and administrative work that needs to be done. The Greek prime minister’s chances of success, though, are slim. Greece has nothing to offer Turkey at the moment and has already ruled out the possibility of joint sea patrols in the Aegean out of concern that Ankara might use this to further its challenge to Greece’s territorial waters. Essentially, the enticements that Tsipras might be able to put forward are those the EU can provide. This is why it is strange that Tsipras was so forthright in his criticism of the EU on Friday, when he claimed to be "ashamed" about the Union’s approach to the refugee crisis and the level of debate on the subject from some of its members. There is much that has been lamentable and reprehensible about how European policy makers have reacted to an urgent, deadly crisis but if Tsipras wants to highlight this he is better off doing it from a position of strength. While Greece has often gone above and beyond to help refugees, this has usually been the result of efforts from NGOs, volunteer groups and individuals. The state has contributed through the tireless work of coast guard officers, ambulance workers, policemen and doctors but this has often been in spite of the obstacles they face rather than because of the assistance they have received from the central government. For instance, Associated Press journalist Derek Gatopoulos reports from Lesvos that two ambulances donated by football fans in Glasgow have yet to be used due to bureaucratic obstacles. Also there is the matter of the committee to handle some 400 million euros in EU funding for the refugee crisis that the Greek government has still not set up. Had Tsipras been able to get his own house in order, he would have had every right to lambast his counterparts and his argument would have carried much greater weight. Instead, his own criticism can be cancelled out by critics picking flaws in his own approach. How can he, for instance, convincingly slam others for building border fences when his government is not in a position to pull down the one at the border with Turkey in Evros? This is exactly the same error that Tsipras made during the previous months of fraught negotiations about Greece’s bailout, when he was unable to back up his proclamations about reform, transparency and meritocracy with any substance. This kind of flawed bargaining will make no impression on Erdogan. In fact, since he is unlikely to give the Greek premier anything else when he visits Ankara, the Turkish president might be in the mood for delivering a lesson on how to minimise your weaknesses while maximising your strengths.